UK headphone industry launches campaign against fakes and grey imports | What Hi-Fi? Headphone manufacturers and retailers have launched a campaign against fakes and grey imports. The campaign's aim is to help UK customers avoid buying counterfeit headphones or models imported from other markets, which are not covered by UK warranties. Shaun Gostelow, sales direct of Hi-Fi Headphones, told whathifi.com: "Fake product is a very big problem, as is non-CE [European] product being brought into the UK which isn't covered by European warranties. "One of our products was being sold in the UK at very unlikely prices, and that sparked off a discussion with other manufacturers. It turned out others were having similar problems with fakes and grey imports form Asia and America. "It seemed like it was a bigger problem affecting more companies than just us. Sennheiser, Monster and Audio Technica for example are working hard to reduce the number of fake products on sale. "So we got together and decided to start a campaign to educate shoppers to help them make the right decision and buy legitimate product." 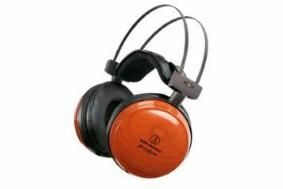 Harvey Roberts, senior marketing manager at Audio Technica UK, adds: "Until now, there hasn't been anywhere for consumers to find out if the headphones they're buying are genuine. "People end up buying fakes and then thinking that brand sounds like a pile of crap. Basically, if the deal looks too good to be true, it probably is!" At a global level, Audio Technica is working closely with Sennheiser and AKG to find the source of the fakes and shut down the factories, which are usually in China, says Roberts. "Many of the online retailers sell product from China or Hong Kong that looks genuine but isn't. They'll offer, say, a £100 pair of headphones at £40. The site looks as if it's UK-based, even if it isn't," Roberts explains. Some manufacturers, such as Shure, even go so far as employing a specialist company to buy fake stock to remove it from sale. Now Gostelow has joined forces with others in the headphone industry to produce a consumer guide to avoiding fake headphones, and listing sites which are known to sell fakes or non-CE models. We've posted a sticky thread on our Headphone forum listing all the rogue sites, plus legitimate retailers, which we'll update regularly. If you've been the victim of rogue sellers, and bought a pair of fake headphones, let us know in the Comments box below and we'll add them to the list.